Chronicles of a Foodie: Featured on The Greasy Wiener Blog! Featured on The Greasy Wiener Blog! I totally forgot to share this on the site! 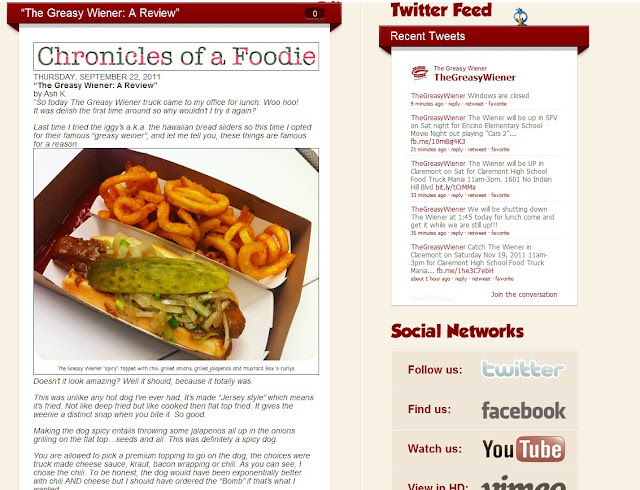 My review on The Greasy Wiener was featured on their blog on their official website!!! How exciting!